It’s not uncommon for people suffering from chronic pain or an injury to also become addicted to Percocet. This does not mean that everyone who takes Percocet will become addicted to it. It only means that any person who takes this drug has the potential to become dependent on it, but some people are more vulnerable to this phenomenon than others. Preventing oneself from becoming addicted requires that patients taking this drug monitor it closely to make sure they are not taking too much of the medication. Generally, those who follow the directions for taking the medicine to the letter will not develop an addiction for it. To help people understand what goes on inside their bodies when they take Percocet, they must imagine an alarm clock. The brain is receiving pain signals from the affected area constantly, and this occurs as if the pain is an alarm clock that the patient cannot turn off. The Percocet is an opiate-based drug, and it is akin to putting a rag inside the alarm clock to relieve the ringing, but the Percocet does not do what the patient is hoping it will. 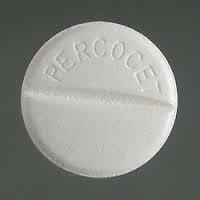 Percocet addiction typically comes from a prescription for moderate to severe pain. The Percocet does not eliminate the pain or prevent the pain signals from being sent to the brain. The Percocet works on the patient’s brain to make it so that it is too drugged to care about the body’s physical suffering. If people know what it’s like to drink so much that they do not notice their discomfort any longer, they understand how Percocet works. Those who succeed in completely forgetting about their pain with the use of Percocet have nearly driven themselves into a coma. The brain is in such a fog that it can largely ignore the fact that there is pain within the body. People may notice that how Percocet works is different from how other medications relieve pain. An example is ibuprofen. After a sprain, a person’s ankle may begin to swell and become inflamed. The ibuprofen does not travel to the brain as Percocet does to encourage it to become intoxicated. The ibuprofen travels directly to relieve the swelling and inflammation in the ankle. More importantly to the sufferer, it reduces the pain without making the injured feel groggy. With this description, it is clear why taking Percocet long-term would cause people to suffer from dependency issues. People may take more of the drug so that they can get the pain relief they desire, but they develop a tolerance for it, and an addiction soon follows. People who take Percocet every day for a long period of time begin to condition their brains to expect a regular dose of opiates. This leads to a shut down of the body’s natural opiate-producers as it waits for the addict to supply it with its daily dose of Percocet. When this is the case, people are fully addicted to the drug, and they cannot stop taking opiates without experiencing an uncomfortable withdrawal. If the addict stops giving opiates to a brain that is no longer producing them, the withdrawal symptoms begin. These withdrawal symptoms are something like symptoms of the flu, and the addicts will experience them for about three to five days. In this time, the brain is learning to develop its own opiates again. Medical professionals will need to help those addicted to Percocet manage their pain in a different way. If they send these patients in to detoxify their systems and they do not have an alternative way to relieve the pain, the addicts may resort to taking the opiates again. Detoxifying a person addicted to Percocet requires that people remain in an inpatient treatment center where the medical professionals will be able to make them more comfortable while they experience withdrawal. A prescription for Percocet often leads to a serious opiate addiction. Therefore, patients who are prescribed Percocet need to ensure that they never take more than they are advised to take by their doctors. Those who do not feel any pain after they take Percocet must know that they have overdosed on the drug. Percocet does not completely eliminate pain; it only brings it down to a manageable level. Is it Percocet Addiction? 10 Common Symptoms of Percocet Addiction - Percocets are some of the prescription drugs that are commonly abused. If someone is becoming addicted to them, subtle changes in their behavior and drug-taking will signify that. Percocet Withdrawal Symptoms - The symptoms of Percocet withdrawal feel like a flulike sickness. These symptoms are the body's response to no longer having the drug, and they will subside in time. Signs of Percocet Abuse - Percocet is a powerful painkiller made from oxycodone. When it is abused it causes serious problems in a person's life. Knowing these signs will help you know when drug rehab may be needed. Telltale Symptoms of Percocet Addiction - Percocet is an opiate painkiller prescribed for various pain-related conditions. It is highly addictive. If someone you love is experiencing Percocet withdrawal, is taking increasing amount of it and can't stop on their own, they likely have an addiction. The Dangerous Effects of Percocet Abuse - Abusing prescription opiates like Percocets can lead to serious problems in your life. It often necessitates rehab and addiction treatment to overcome.